Hitler rants about bicycles and reacts to Premier Ted Baillieu’s recent remarks that the registration of bicycles is not feasible. Nikki Sinclaire (West Midlands European parliamentarian) has echoed Hitler’s sentiment in calling for compulsory cycle registration and helmet use. Cycle registration is a contentious issue, but to me it seems absurd for anyone to seriously suggest erecting such significant barriers to cycling at a time when there are too many cars on the roads and the nation’s health is so poor. Some politicians seem to be under the impression that cyclists are anarchists who disregard the rules and their own safety for no particular reason. Although I don’t condone red-light jumping and pavement cycling (two of the most controversial issues), there are strong arguments and hard data in support of the fact that such behaviours are sometimes justified in light of their being the safest options at certain junctions. This being the case, what is perceived as the ‘bad behaviour’ of cyclists is symptomatic of the poor conditions that British bike riders have to put up; not only do we lack the strict liability laws employed to protect vulnerable road users across Europe, but our cycling infrastructure amounts to little more than inconsistent and unenforced dabs of paint. If politicians like Nikki Sinclaire want people on bikes to behave better then maybe they should spend more time learning about how successful cycling cultures work and less time proposing preposterous new rules that do nothing to protect cyclists whatsoever. This entry was posted in Freedom, Legal Issues, Safer Cycling, Strict Liability Laws, UK, Uncategorized, Urban Cycling and tagged Accountability, bicycles, cycling, Cyclist Registration, Hitler Rant, Road Nazi, road safety, Road Use, Traffic. TfL (Transport for London) have made a video showing just how blind lorry drivers are in some circumstances. This is great evidence for the argument that heavy-goods vehicles and bikes shouldn’t have to share the same road space. This entry was posted in Uncategorized and tagged bicycles, Blind Spot, cycle deaths, cycle safety, Lorries, road safety, Vehicle blind-spots. 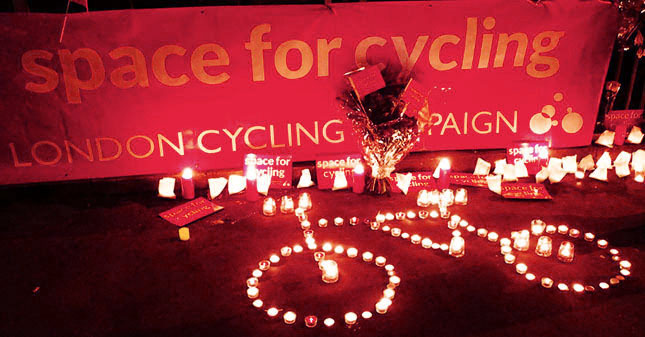 Five cyclists have died in the last nine days on the streets of London. People are justified in their anger that cycling infrastructure is too sporadic to offer any effective protection. Please help by sending a message to London’s mayor to let him know how you feel. Deepest sympathies to anyone who has lost a friend or relative on the roads. 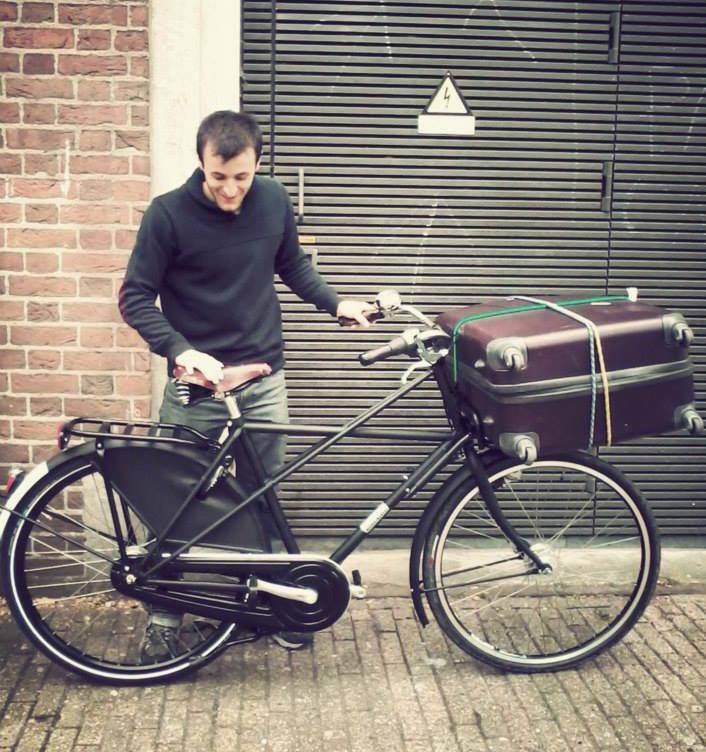 This entry was posted in Alternatives to Cars, Commuting, cycling, Cycling Infrastructure, Design, Dutch Cycling, Dutch Cycling Infrastructure, Kindermoord Campaign, Legal Issues, Politics, Strict Liability Laws, transport, Transport for London, UK, Uncategorized and tagged cycle deaths, cycle infrastructure, cycle paths, cycle safety, London, road safety.